Twist the bottom of these party poppers and out shoots metallic confetti fringe! Spring activated. No gunpowder or firework materials involved. Great for any celebration. 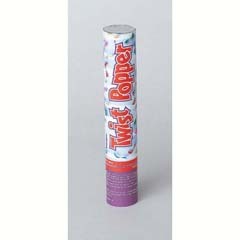 Includes (1) 11.5" popper per package.